Clauger part in the 12th edition of international business convention for pharmaceutical, chemecal and petro-chemecal industries. 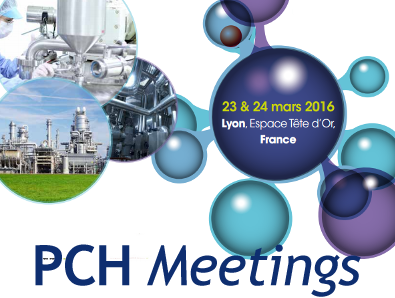 PCH Meetings, organised Wednesday 23rd and Thursday 24th March 2016 at the Espace Tête d’Or in Lyon, gather together decision-makers and solution providers of firms operating in the pharmacy, chemicals and petrochemicals sector within a conference and professional business meetings format. Program : Machine, Process, Utilities, Energy efficiency & renewable energy.